Is Organizational Confidence a Competitive Advantage for You? This post was written in collaboration with Susan Marshall of The Backbone Institute. Confidence is an interesting trait. You know when people have it, you know when people think they have it but are actually just arrogant or using various characteristics as a facade, and you know you would love to have it (unless, of course, you already do). In truth, confidence is incredibly powerful and incredibly important in the workplace. Today, Susan Marshall joins me to talk about her experience in inspiring and coaching people and organizations in being more confident. 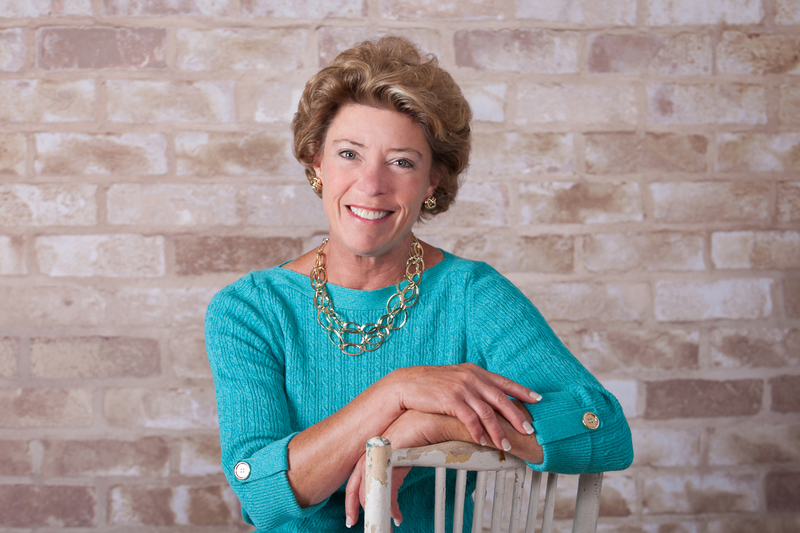 Susan is an author, speaker, and Founder of The Backbone Institute, whose mission is to create "a stronger, more confident future, one person or team at a time." She has been assisting leaders in the public and private industry sectors, non-profit agencies and public education for nearly 30 years. Her work is dedicated to building strong leaders who in turn create successful organizations, transform school systems and develop leaders at all levels. Susan has written three books: "How to Grow a Backbone: 10 Strategies for Gaining Power and Influence at Work", "Life. Be in it." and "Of Beauty and Substance: A Backbone Guide for Women." Confidence comes from an often-messy process of trial and error. This can be broken down into the areas of learning and application, which leads to joy or disappointment depending on your results, along with challenge and support. This is true for individuals, certainly, but what about organizations? Q: We all know someone who appears "confident" in an organization, but, in reality, they are not, or, worse still, their "type of confidence" can lead to negative effects within the organization. In your experience what are some of the signs of someone who appears to be, but is not actually, "truly confident"? A: Let's start with a prototypical individual that often seems to be the standard bearer for a confident organization: Someone who looks and sounds the part. For people who love the stage or need to be the center of attention, true confidence is elusive. While these people appear to be self-assured when they are in the limelight, they can in truth be thin-skinned, easily offended, and lacking in humility and grace off-camera. They tend to not seek, nor appreciate, feedback. Because they believe in their superior talents or credentials, they can risk concluding that they have already arrived at a pinnacle and that further growth is not necessary. This confidence, however, is superficial, driven by an ability to control circumstances, environments, and other people. These people can tend to dominate conversations, quickly steering them back to their own area of expertise. They frequently speak in great detail and deliver significant amounts of data, however, they cannot represent an understanding greater than their own. This singular focus on their expertise tends to limit their interest and ability to interact effectively with others, particularly when others are accomplished professionals. When conversing with such an individual, they can sometimes seem impatient, sometimes even to the point of rudeness. Q: It seems such confidence could easily hinder the open collaboration and connectedness of an organization as a whole, leading to a situation where others may be less likely to want to share their ideas or to contribute at all. What impact do you see these individuals having on organizational confidence? A: It can be a mixed bag. Externally, they can generate powerful public relations buzz. Because they enjoy having a stage and sharing their advanced knowledge, they project confidence and pride. Controlling the interaction by way of mechanisms such as prepared questions and answers provides guidance and can ensure a polished presentation. When this aligns with an organization's mission and message, all is well. Internally, these people can undermine organizational confidence. Their need for control and visibility can easily limit the contributions of others, and the leadership or organization, may not even realize that they are not getting the most from their collective power. Competition for resources--a reality within any organization--can become personal. Feedback, however sincere and constructively offered, can be perceived as a personal or professional attack. They may also seek to diminish others as less prepared, credentialed or experienced. What starts small can mushroom very quickly, releasing toxic competition into an organization. Additionally, as other professionals within the organization feel challenged inappropriately by a limelight seeker, their confidence in the organization may be shaken, which can start a ripple effect within teams, departments and operating divisions. This clash of external and internal confidence is unsettling to everyone and often results in loss of productivity, wasted resources, and, worst of all, talent. Knowing the talents and skills of individuals and placing them in roles that play to these strengths is the first step in creating confident organizations. Additionally, helping individuals appreciate that different skills are vital to a fully functioning organization can open the door to curiosity and collective learning. Organizational Confidence: A Sum of Individual Parts? Physical presence: How you carry yourself and appear to others. Interaction: How you collaborate and connect with others. Mind: Your thoughts and strength of mental capabilities. Core: Outwardly demonstrating who you are inside. Q: What are some of the signs that you have seen in truly confident people? A: Truly confident people appreciate both their knowledge and their gaps. They welcome interaction with--and yes, challenge from!--colleagues whose expertise lie outside their own, knowing that they can learn without losing the expertise they have so carefully acquired. Confident professionals often reach for assignments that stretch them beyond their comfort zone. At the same time, they seek feedback and take action to improve their performance. Truly confident people approach challenges with an attitude of curiosity and collaboration rather than conflict and competition. Finally, they celebrate the successes of others and genuinely enjoy being around strong, active colleagues. Outward facing confidence - Appearance of the organization to other groups, enabling self-esteem and pride in the organization. Efficiency: Ability to prioritize and act, enabling the organization to deal with changes and to develop their competence in tackling the ever-increasing demand. Creativity: Freedom of thought through trust in people and environment, enabling greater innovation and ideation. Connectedness: Association of oneself with the culture and purpose, enabling a deeper connection and higher belief. Awareness: Awareness of oneself and others, enabling a true sense of safety. Trust: Safety to express opinions and thoughts, enabling sharing and collaboration. Q: Growing such an organization can seem incredibly overwhelming. How can an Organization or Individual start their journey in developing their level of confidence? A: Organizational confidence is strengthened when individuals develop personal and professional confidence. Such confidence represents a significant competitive advantage, which industry leaders understand and promote. Indeed, organizations that display a high level of collective confidence benefit from better leadership, higher levels of productivity, stronger teams, happier employees and better ideation. Confident organizations know their business and work to ensure that all individuals do, too. They have a singular focus on customers and challenge every individual to keep a sharp eye on how their work ultimately impacts the customer. Finally, they practice feedback as a daily dialogue rather than making up something to say during performance reviews. 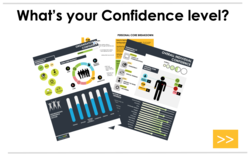 We have created a Confidence Index for individuals and organizations to help them understand where they are, and their areas of opportunity for further development. The Index aims to guide organizational leaders to better understand how they can improve the overall strength of the organization's confidence, and enable focused individual development. Never grow a wishbone, where a backbone ought to be! Like any journey of growth or change, yours must begin with understanding. Here is to a future where confidence enables innovation, creativity, and happiness! As Susan herself says, and we love: "never grow a wishbone, where a backbone ought to be".